Are you looking for repairing your sliding door? We offer high quality sliding door repair services in Klang Valley, Malaysia since 2010. All work comes with 90 days workmanship warranty. Issues with your sliding doors can be a huge hassle, especially since it has greatly become a huge part of the business and home operations from the day in and out. Among the first few signs signalling repair include stuck wheels, creaking sounds when opening or closing, or the door just being harder to open the usual. This issue usually causes by faulty roller or door track. 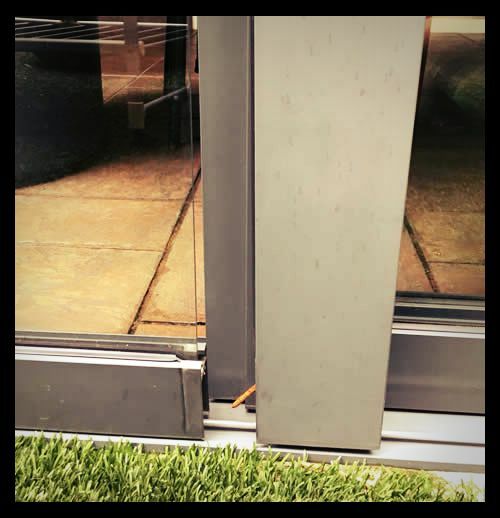 Before these cases get worse, it is highly recommended to get in touch with a sliding door repair specialist before the door becomes unusable entirely. As the leading sliding doors contractor in Kuala Lumpur, Malaysia, we got you covered from installation to repairs! This is another inevitable problem with sliding doors. Through time the track and wheels can get misaligned or dirty. This is the reason why your door gets harder to open than usual. 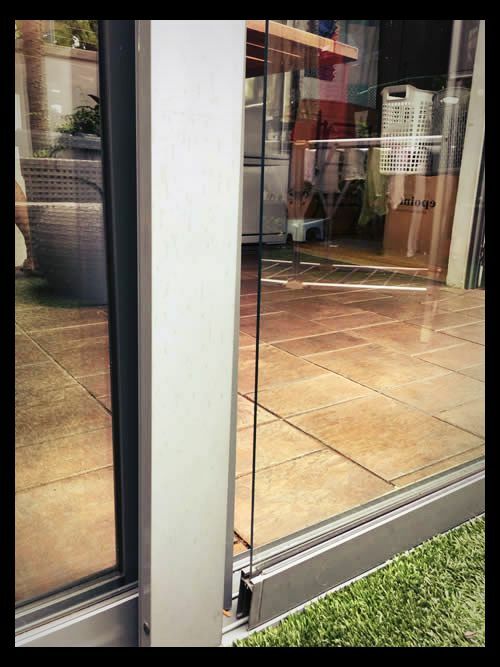 To address this, your sliding door track needs to be either repaired or totally replaced, depending on the evaluation of our door specialist. Delaying maintenance of tracks often lead to totally replacement of the wheels. Is your door lock consistently giving you problems? Latch is crucial for your overall security and any problem in this part of your sliding door should not be ignored. We can repair or replace your sliding door latch in the most efficient way possible, as efficient as our installation processes. Whether you are looking for an upgrade for your glass or a simply repair to your current one, you are covered by our services. We provide the highest quality of glass in the market, so you can be assured of its longevity. This is one of the most common problems with out many doors. It can either be caused by sustained pressure from years of usage, or simply loose screws. Whatever the problems is, our specialist will be able to restore your handle in no time. We can also do upgrades to your sliding door handles per request. Need more services not mentioned above? Talk to us. Send us an email with your type of door and the repair you will need and we will get back to you as soon as we can with a quotation. Send us a message via our Contact Us form or Whatsapp (insert number here). For repairs and replacements, it is best to send us a photo of the faulty part of your sliding door for a more accurate assessment. Our team will proceed with assessment of the request and get back to you with a quotation. If ready to proceed, we will ask for your details including full name, address, and preferred date and time of service. The booking process will commence upon receipt of these details. We will dispatch our installation or repair team to your identified address. Depending on the service requested, the entire process will take as short as 30 minutes to a couple of hours. We would appreciate to hear from you about our recent service. Do leave us your feedback through our customer service or Google business page. For emergency unlocking concerns, send us a direct message on Whatsapp so we can address your concern right away. We only employ professional sliding glass door experts to work on your problem with these products. They follow a step-by-step process when doing repairs and installation work which is a mark of quality products. P3 Door has saved us twice from troubles with our sliding doors! They really professional and fast as claimed. Thank you again to Benjie and his team for the great work. We had our glass door installed by P3 Door just months ago, and unfortunately some kids managed to damage the frame of the door, putting the rest of door in danger. The repair team is as good as the ones who installed our doors the first time. 5 thumbs up guys! Looking for sliding door repair? Send us a message through Whatsapp or email today to receive your quotation. We service around Klang Valley, Kuala Lumpur, and Selangor. Offer sliding glass Door repair services around Klang Valley, Malaysia. Specialise in roller/wheels replacement. Honest price with high-quality service.